First-Ever Marvel Live Tour Coming to eight Canadian cities. Tickets are already on sale for this fun event that Marvel fans will love. 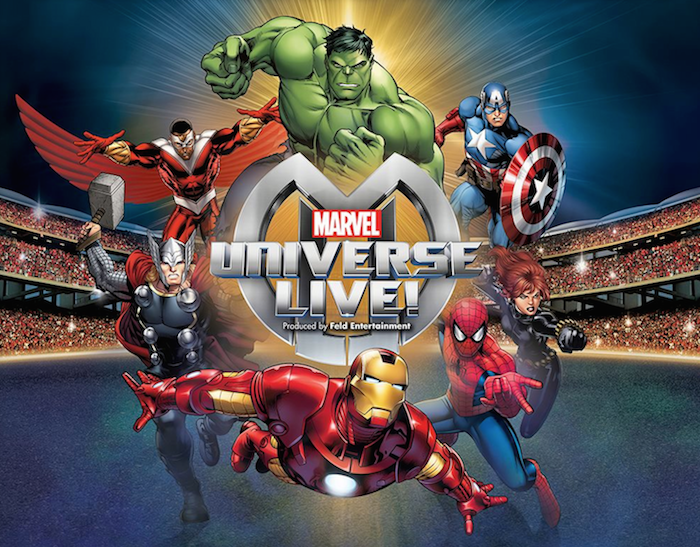 Feld Entertainment, Inc., the world’s leading producer of touring live family entertainment, has announced their most ambitious live show in its history, Marvel Universe LIVE! The show will feature the most Marvel characters ever assembled in one production, this action-packed arena spectacular will put fans right in the middle of one of the most electrifying battles between good and evil ever conceived. Marvel Universe LIVE! will captivate audiences with an authentic and original story that brings more than 25 Marvel characters together on one epic quest. Marvel Universe LIVE! launches new innovations in set design, aerial stunts, pyrotechnics and state-of-the-art show elements that bring movie style special effects to the live entertainment arena. Audiences will see the awe-inspiring world of Super Heroes come to life before their eyes with a dynamic cast comprised of some of the industry’s most talented stunt performers. Utilizing their talents and aided by a unique combination of never before seen arena mechanics some of Marvel’s mightiest will come to life with profound results. These true-to-comic creations will be supported by innovative lighting design and transformative 3D projection that will take the audience on a journey around the globe with these timeless characters. To support this massive undertaking, Marvel Universe LIVE! will not only utilize the entire arena floor, but also perform within a multilevel aerial space creating a unique experience that puts audiences right in the middle of the action. If you are in Canada and would like to win a family pass of four tickets (value of $300) before March 30th then enter the giveaway through the rafflecopter below. Please let me know for which city you would like the tickets for. I would love to win for the Toronto ON show! We would love to win tickets to the Toronto show. Toronto Show would be perfect. Toronto show would be awesome ! I know my girls would love to see this show in Toronto! Would love to take my boys in toronto!! I would love to see it in Ottawa! I'd love tickets for Vancouver. Thanks!